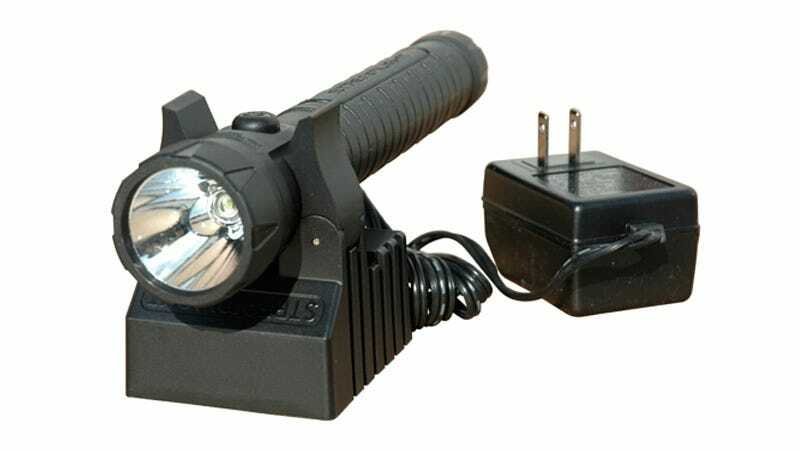 Larson Electronics claims its new EXP-LED-51 rechargeable LED flashlight, wielded by a robot or perhaps an extremely tough fireman, can survive a bona-fide explosion. It's a little morbid, considering the torch could keep on shining even after the lights go out for the guy carrying it. Update: As pointed out in the discussions, the term 'explosion-proof' in this instance doesn't actually refer to the flashlight's ability to survive a blast. Instead, it refers to the fact that the flashlight can be safely used in hazardous conditions—such as areas where there's a gas leak—without the risk of its electronics igniting an explosion.